08.10.15 - Chairing the Man Booker Prize Shortlist Event, Birmingham Literature Festival, Studio Theatre, Library of Birmingham, 7.00pm-8.30pm. Sponsored by the Institute of Creative and Critical Writing, School of English, Birmingham City University. 17.07.15 - Performing at Stratford-upon-Avon Poetry Festival: The Shakespeare Centre, 7.30pm. 04.07.15 - Performing at Ledbury Poetry Festival, The Panelled Room, 1.40pm. 02.05.15 - Performing at Gothic in Birmingham, the Library of Birmingham. 25.04.15 - Performing at Wenlock Poetry Festival. 12.04.15 - 'Sum', poem broadcast on BBC Radio 4, 'Something Understood'. 16.03.15 - Awarded a place on the Writing West Midlands 'Room 204' Writer Development Programme. 10.10.14 - Participating in Soap City, a panel discussion at Birmingham Literature Festival on the Midlands' rich tradition in producing soap opera for TV and radio, and the craft of writing for continuing series: 6-7pm, Studio Theatre, Library of Birmingham. 03.10.14 - Chairing Voices in Fiction at Birmingham Literature Festival - a panel discussion with Kerry Hudson, Sathnam Sanghera, Lottie Moggach and Nikesh Shukla: 7.30-8.45pm, The Door, Birmingham REP.
30.08.14 - Lecturing on 'Coleridge's Daemonic Imagination' at the 12th ESSE Conference, Kosice, Slovakia. 28.07.14 - Speaking on 'Coleridge and the Mystery of "Orpheus"', at the Coleridge Summer Conference 2014 and, as part of the conference, giving a poetry reading at St. Mary Magdalene Church, Cannington, Somerset. 25.07.14 - Performing the poem 'Citizen John' at the John Thelwall Conference Dinner, The Ship Tavern, Lincoln's Inn Fields, London. 21.07.14 - 'Descent' and 'White Horse Hill' published in The North 52. 08.07.14 - First public performance of 'Misterioso', a new poem commissioned for Music for Youth, at their National Festival (8-12 July), Town Hall and Symphony Hall, Birmingham. 26.06.14 - Poet in residence at 'Twice Upon a Time: Magic, Alchemy and the Transubstantiation of the Senses', Centre for Fine Art Research, Birmingham City University. 25.06.14 - Hosting the Creative Writing Summer Show at Birmingham City University: 6-8.30pm, Recital Hall, Birmingham Conservatoire. 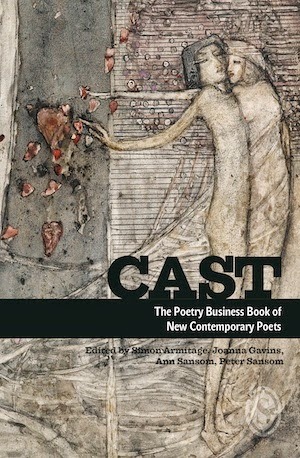 16.05.14 - CAST: The Poetry Business Book of New Contemporary Poets, eds. Simon Armitage, Joanna Gavins, Ann Sansom and Peter Sansom (Smith/Doorstop) published, featuring five of my poems. 26.04.14 - Poetry reading with David Morley at Wenlock Poetry Festival: 5.30pm, Wenlock Priory. 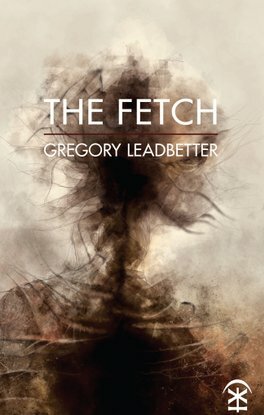 28.03.14 - 'My Father's Orrery' and 'The Fetch' published in The Poetry Review 104:1. 28.03.14 - Reading at (and, through the Institute of Creative and Critical Writing, hosting) 'Beats and Birmingham: Poets and the City' for the Frontiers Festival - with Luke Kennard and Bohdan Piasecki: 5.30pm, Cafe Mezzanine, Library of Birmingham. 19.03.14 - Introducing ICCW book launch for Patrick McGuinness's memoir, Other People's Countries: A Journey into Memory: 6pm, The School of Art, Margaret Street, Birmingham. 26.02.14 - Appointed Reader in Literature and Creative Writing, Birmingham City University. 20.02.14 - Lecturing at the Wordsworth Winter School on Wordsworth's 'Moods of my own Mind' and 'Resolution and Independence'. 18.02.14 - Speaking at 'Break, Blowe, Burn and Make Me New': John Donne and Benjamin Britten - Words into Music', 7.30pm, Recital Hall, Birmingham Conservatoire. 25.01.14 - Poetry reading at the Old University Building, University of Malta, Valletta, at the 'Encountering Malta' Conference. 28.11.13 - Introducing ICCW poetry reading by Maurice Riordan and Angela France, for the Birmingham launch of Maurice's new collection, The Water Stealer, 7-8.30pm, Waterstones New Street, Birmingham. Free event, with wine reception. 26.11.13 - Poetry reading at Poetry Bites, 7.30pm, Kitchen Garden Café, Kings Heath, Birmingham. 23.11.13 - Speaking at the Writers' Toolkit, Birmingham, on the 'Teaching Creative Writing' panel; chairing the panel on 'Writing for Radio'. 23.10.13 - Poetry reading with David Morley for the launch of David's new collection, The Gypsy and the Poet, 6.30-9pm, School of Art, Margaret Street, Birmingham. Free event, with wine reception. 17.10.13 - Introducing ICCW public seminar on 'Europa', 2-5pm, School of Art, Margaret Street, Birmingham. Free event. 07.10.13 - Introducing and interviewing Will Self for Birmingham Literature Festival, 7.30pm, Library of Birmingham. 05-10.08.13 - Delivering plenary lecture on 'The Lyric Impulse of Poems, in Two Volumes', at the Wordsworth Summer Conference, Rydal. 18.06.13 - 'Clairvoyance' published in Poetry Review 103:2. 02.06.13 - Taking up Hawthornden Fellowship. 13.05.13 - Poetry reading at Nine Arches Press/Crystal Clear Creators Leicester Shindig. 17.04.13 - Hosting the launch of the Institute of Creative and Critical Writing at the Ikon Gallery, Birmingham, 6-9pm, with wine reception, and readings from Helen Cross, Caroline Jester, Ian Marchant, Patrick McGuinness and David Morley: a free event, to which all are welcome. 13.04.13 - Delivering the Charles Lamb Society Lecture, on 'The Comic Imagination in Lamb and Coleridge', Swedenborg Hall, London. 02.04.13 - Poetry workshop and reading at John Donne Day 2013, Polesworth Abbey Church. 16.03.13 - Elected Vice-Chair of the Friends of Coleridge. 02.03.12 - Chairing session on 'How Publishing Works' at the Student Writers' Toolkit, Coventry. 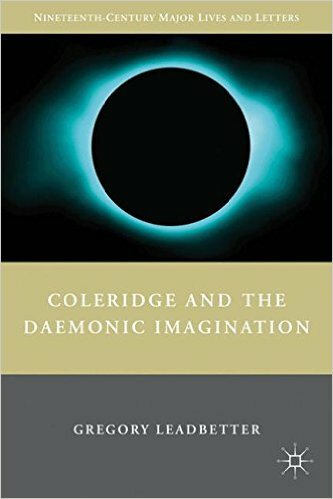 01.12.12 - Coleridge and the Daemonic Imagination awarded the CCUE Book Prize 2012. 28.11.12 - 'Sea Change' published in The Rialto 76. 28.11.12 - 'Clone', 'A Type of Rain', 'Carnac', 'Seahenge' and 'Γνωθι σεαυτόν' published in Variations 20. 17.11.12 - Speaking on 'Writing Outdoors', at the Writers' Toolkit, Birmingham. 16.11.12 - Coleridge and the Daemonic Imagination shortlisted for the CCUE Book Prize 2012. 15.11.12 - 'Clues to the Pochard' and 'Black-Necked Grebe' published in Birdbook II: Freshwater Habitats, ed. Kirsten Irving and Jon Stone (Sidekick Books). 12.11.12 - 'The Leap' published in Magma 54. 12.10.12 - Awarded a Hawthornden Fellowship for 2013. 01.10.12 - My poem 'Sea Change' is awarded third prize in the RSPB/Rialto Nature Poetry Competition. 15.09.12 - Speaking on '"The Snake in the Oak": Ted Hughes, Coleridge, and the Contentions of Reading', at the Ted Hughes Conference, Pembroke College, Cambridge. 06.09.12 - Speaking on 'Taste' at the Oxford and Cambridge Club, London. 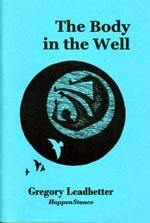 23-27.07.12 - Attending the biennial International Coleridge Conference, in Cannington, Somerset, which I help to organise. 25.06.12 - Appointed Director of the MA in Writing at Birmingham City University, and Director of the new Institute of Creative and Critical Writing, launching in 2012-13. As well as enriching the University's creative writing programme, the Institute will provide a major new forum for public seminars, readings and lectures on creative writing and critical thought - bringing together imaginative life and intellectual adventure, opened up to audiences beyond the university.